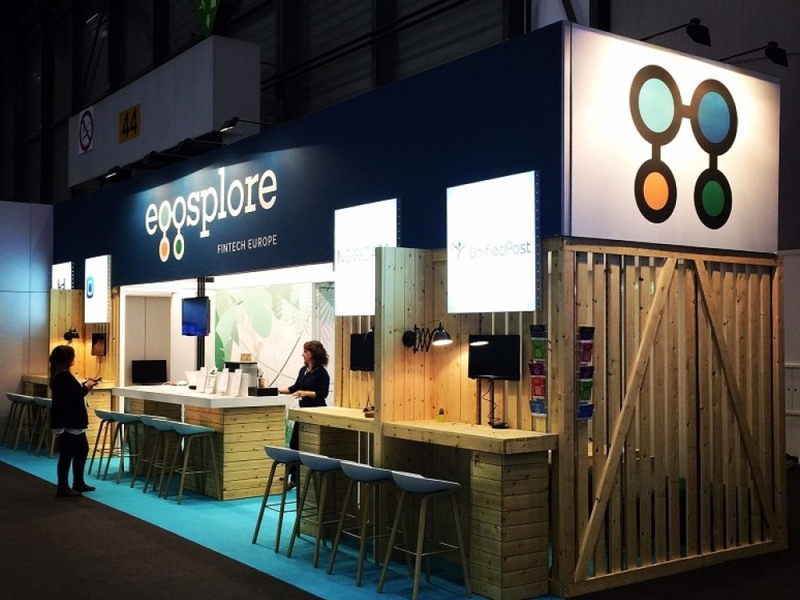 Well-conceived compact spaces, dedicated to carefully defined meetings for these two Belgian companies! 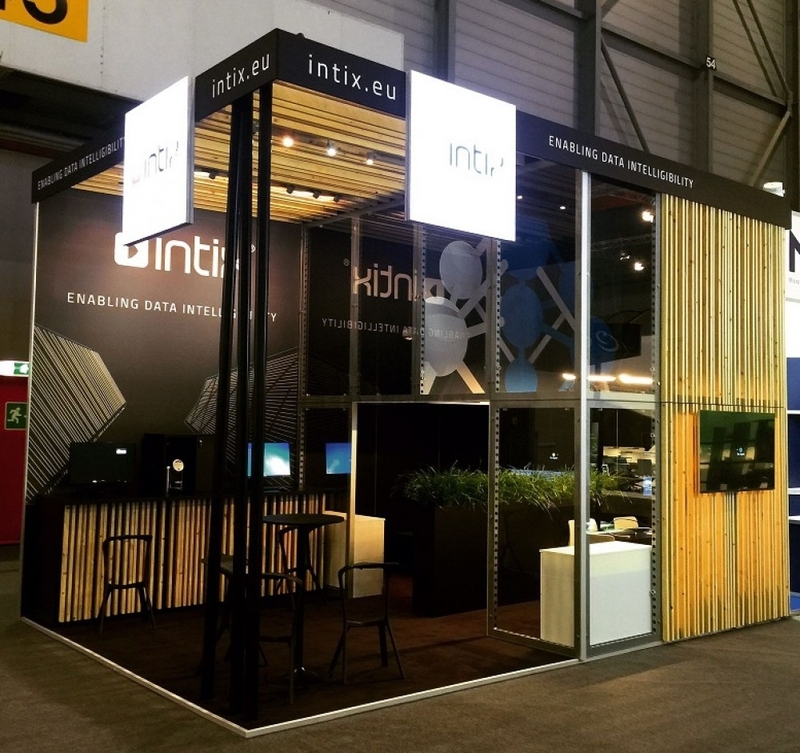 Just one year ago, in our newsletter, we mentioned the strategic and vital presence of the young Belgian company INTIX at Sibos 2015 in Singapore. This year, EGGSPLORE has also joined this annual international itinerant meeting of the financial affairs community that has been organised for more than 15 years by S.W.I.F.T. 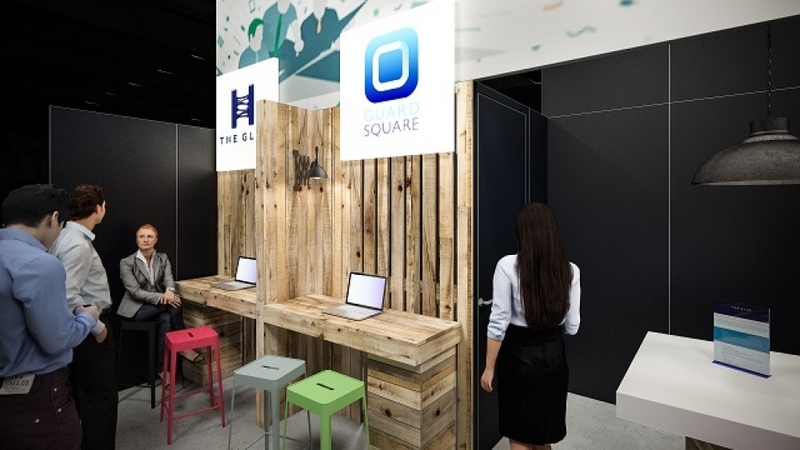 For this edition, the two companies have chosen a vintage urban ambiance with natural materials to welcome their participants. 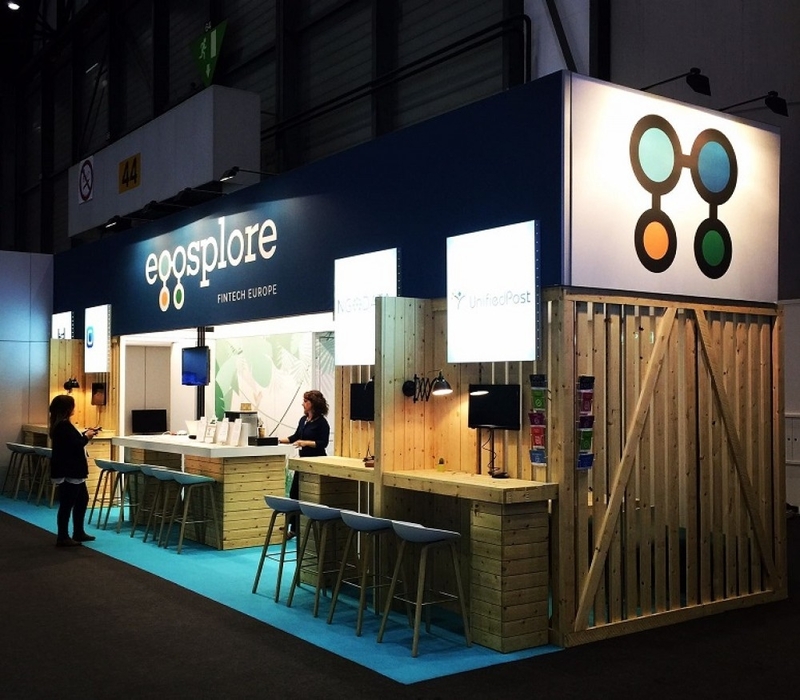 Central reception area, two meeting rooms and four ‘demo stations’ measuring 48m² for the four companies that make up the EGGSPLORE Smart Fund. 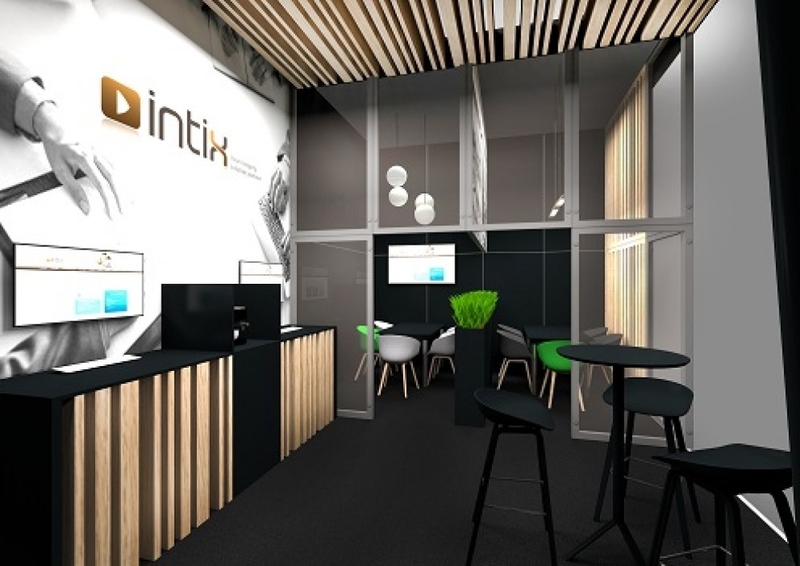 Two meeting rooms, ‘demo stations’ and waiting area for INTIX measuring 24m². Do contact us and confidentially entrust us with the organisation of your presence.